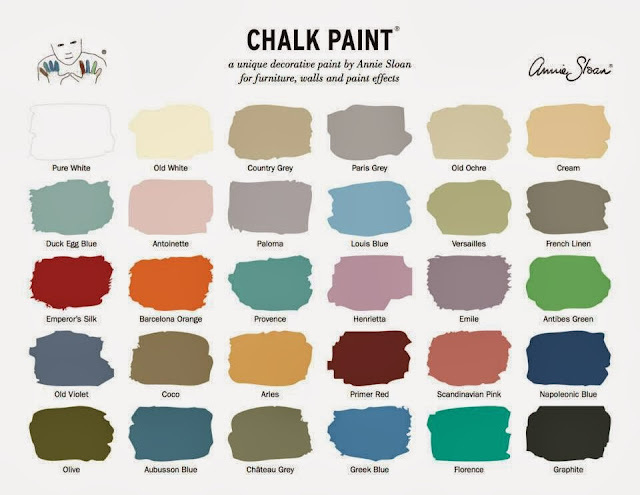 Last week I reviewed American Paint Company chalk paints. This week, I wanted to give my review on the Annie Sloan Chalk Paint (ASCP ) brand. I know. 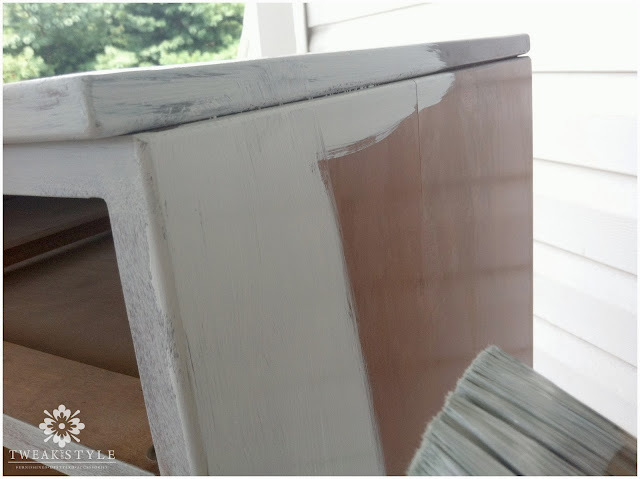 Most of you have heard of this product and have also probably tried it, but since this is the paint I use most for my furniture up-styling and really the standard I compare others too, I really needed to give it a comprehensive review. For over 10 years I have been painting furniture and always with a latex. In the last year I have discovered, along with so many others, chalk paints and in particular ASCP. It completely changed painting furniture for me. With ASCP painting became easier, quicker, and ...fun. I have, for the most part, completely stopped using latex. While some people may still like it, I think latex takes too long to dry, often leaves drips, can sometimes peel up when sanded and is basically...not fun. When I first started using ASCP, I spent some time on the website learning about the product and from there I followed the links to a local retailer. I found there was one nearby and the next day I made my first purchase. This product was a dream to use. And other than getting some basic pointers, I found it virtually fool proof. While I found the website a little tedious to navigate, there is a lot of good information and good links to tutorials. 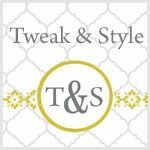 I especially liked the Annie Sloan Youtube channel here. Working with the ASCP is a joy. I painted one of my first pieces in French Linen, a darker neutral gray. I opened the can and with no priming, began to paint. The product was thick, yet still,creamy and easy to apply. And even over a dark stained wood piece, only 2 coats were really needed. It also dried quickly, within half an hour. So, in less than a day, I was able to apply two coats and sand to distress! Great coverage even after just one coat. And talking about sanding, Annie Sloan recommends waxing and then sanding, to help with the dust. I prefer to sand first and wax only after I am sure I like my distressing. It does create some dust so you may want to do this outside. Easy to sand and smooth….but lots of dust! 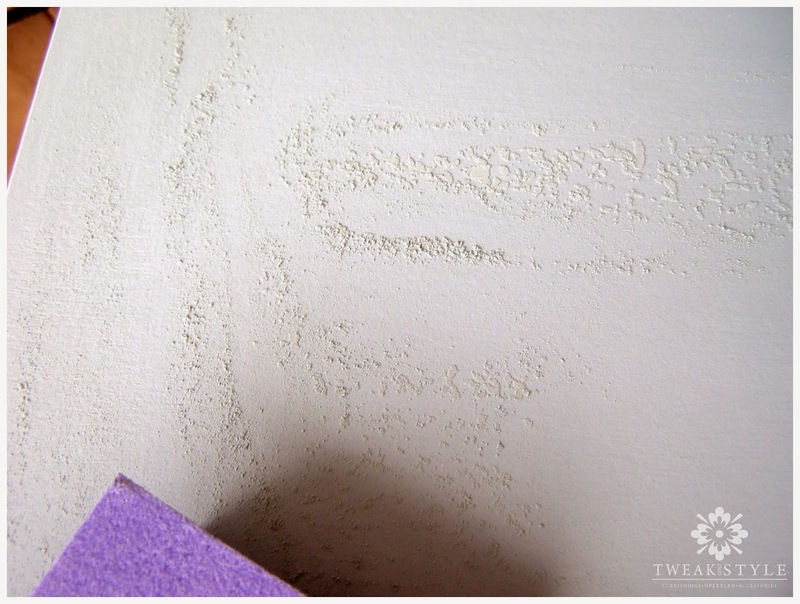 While it sands easily to distress, sanding does seem to leave some sheen differences. With the Fench linen, it seemed that where I sanded, the color became lighter and I spent some time trying to lightly sand everything to get a smooth and consistent color. However, I may have obsessed over this more than I needed. Annie Sloan wax comes in two colors, clear and dark. These were the first furniture waxes I ever used. Now, let me start by saying I love waxing way more than applying polyurethanes. It gives a natural look while most polys I find to look like plastic. It is also forgiving. You can remove it with mineral spirits if you need to and if a stray pet hair would land in the finish (and when hasn't that happened! ), there is plenty of time to pick it out. In poly, that sucker will dry in there for good. 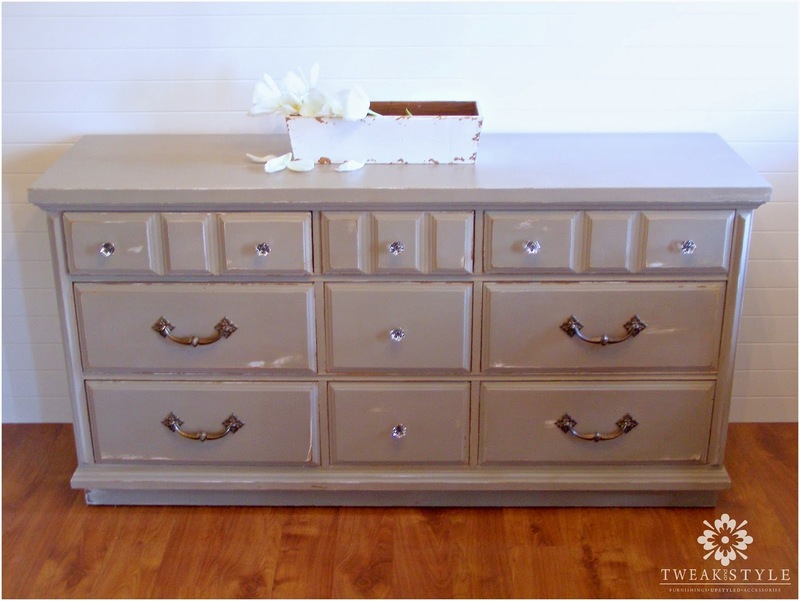 Overall, Annie Sloan's waxes are good, but they are not my favorite. As I have experimented with more waxes, I found Annie's to have strong fumes, remain tacky longer, and take some time to get a finish that looks "even." With a colour palette inspired by 18th and 20th Century decor and design, you can easily mix the colours together to extend the range. Chalk Paint® is eco-friendly too. It contains extremely low volatile organic compounds (VOCs) and has no odor. Website www.anniesloan.com and click on American Shops for local retailers in the U.S.
Near me in Maryland/Virgina try www.shop.catfishcreativefurnishings.com. This shop is run by Celeste, one of the nicest and most talented stockiest I have had the pleasure to meet. Her tutorials and posts are really thorough! 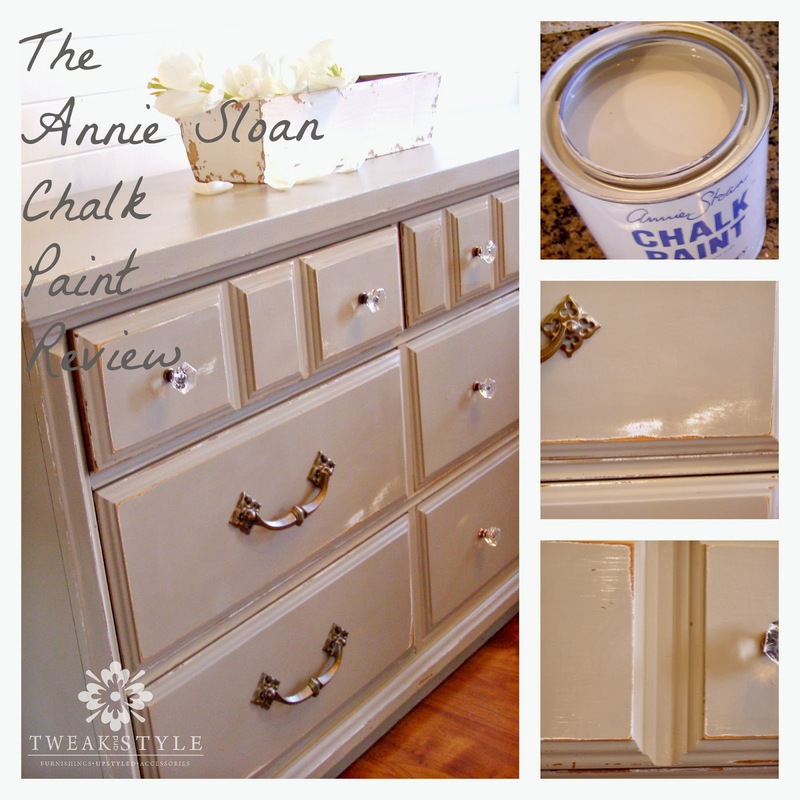 Annie sloan has a pallette of thirty shades and honestly, every color is drop dead beautiful. They give furniture the quintessential French chick look and her shades are the most requested by my clients. It has a nice smooth consistency and I love that it gives such great coverage making it last long. So far it is creamier and requires less coats than my last review for American Paint Products. As with other Chalk Paints, for the smoothest application, I recommend doing your second or a light third coat with ASCP thinned with water. 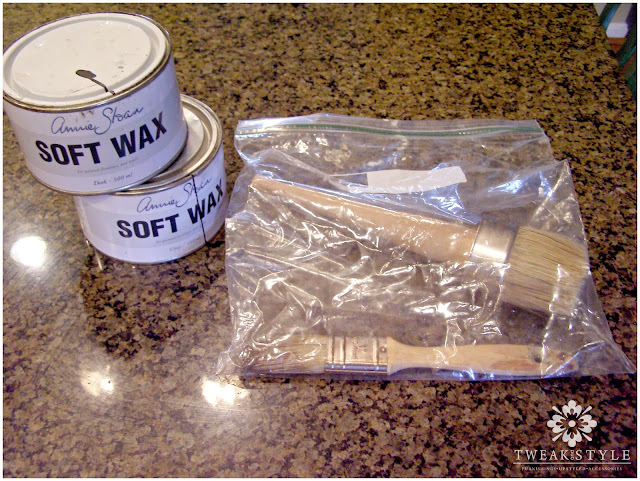 While I still use Annie Sloan's waxes, they are not my wax "go to" wax (see my review on American Paint Products here to read what wax I am using now). Overall, there are other waxes that have no fumes and are easier to apply. Also, the dark wax must be applied over clear wax or you will stain the paint and not be able to remove "it." Some dark waxes can be applied without clear wax, which saves time and money. Annie also offers great brushes for waxing. While they are a little pricey, I recommend buying at least the large one. It will last you forever. I usually don't use much dark wax so I apply dark wax with an inexpensive chip brush. So Debbie, What is your favorite wax to use? It was really great reading your article.it is very informative and useful but farmhousepaint.com provides best quality of furniture paint .Thanks for sharing! Wow, everything is looking beautiful! New Port Richey painting contractors Thanks for letting us peek at the work in progress!